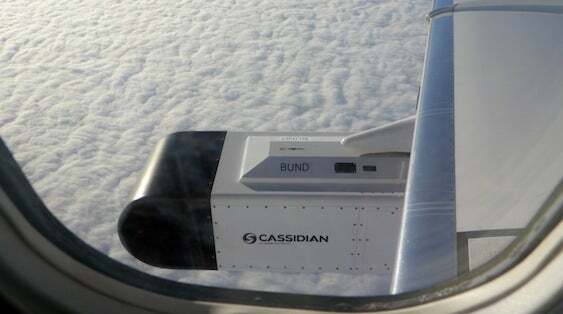 Cassidian has successfully conducted a series of flight tests to validate the capability of scalable modular aerospace radar technology (SmartRadar), the newly developed flexible airborne ground-surveillance radar. During the flight test series conducted from the Hohn air base in the Federal State of Schleswig-Holstein, Germany, the SmartRadar demonstrated its detection performance in various operating modes for maritime surveillance. The sensor is designed to perform different surveillance missions with only minor modifications while allowing for scalability of bandwidth, frequency band and processing performance. Featuring active electronically scanned array (AESA) radar technology, the SmartRadar is capable of monitoring wide areas with stationary targets, simultaneously detecting and tracking moving targets at longer distances. One variant of SmartRadar is integrated into an autonomous cooling system pod to enable immediate adaptation to multiple mission aircraft. Fitted with ultra-high-resolution radar technology, the system offers more enhanced progress than conventional radars which are designed and optimised to conduct specific tasks in a narrow frequency band. The radar has already completed successful field tests for the German Federal Office of Defense Technology and Procurement (BWB), and also provided accurate reconnaissance results during airborne testing, conducted by the company in June 2012. Additionally, the radar provides higher reconnaissance performance in less time compared to existing surveillance radars and can be rapidly configured according to multiple customer requirements and platforms. Earlier, the company delivered similar modules for the TerraSAR earth observation satellite, the radar systems for the German Navy’s new German Navy’s Thyssen-Krupp/Lürssen-built F125 Baden-Württemberg-class ships and the SPEXER 2000 border surveillance radar. Image: A Cassidian’s SmartRadar in demonstrator pod configuration. Photo: Cassidian.